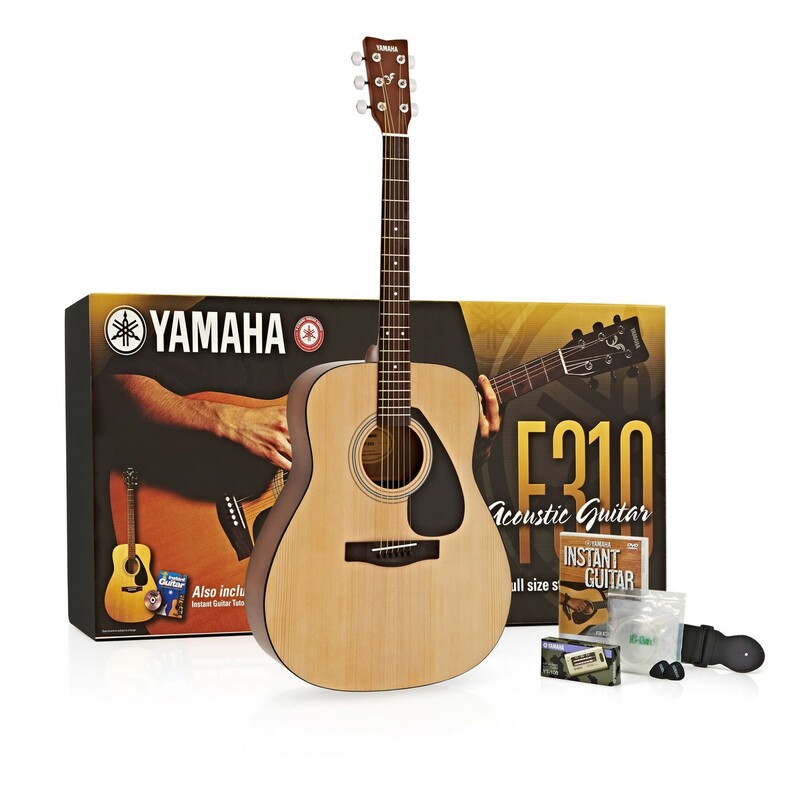 The Yamaha F310P2 Acoustic Guitar Beginners Pack has been especially designed with the first time buyer in mind, offering an affordable solution for those looking to invest in their first acoustic guitar. Each pack includes the multi-award winning, entry level F310 Acoustic guitar, along with a Tuitional DVD, Guitar strap, Strings, Guitar picks and a Tuner. This excellent starter pack is the ideal choice for schools or colleges looking for an affordable learning solution. 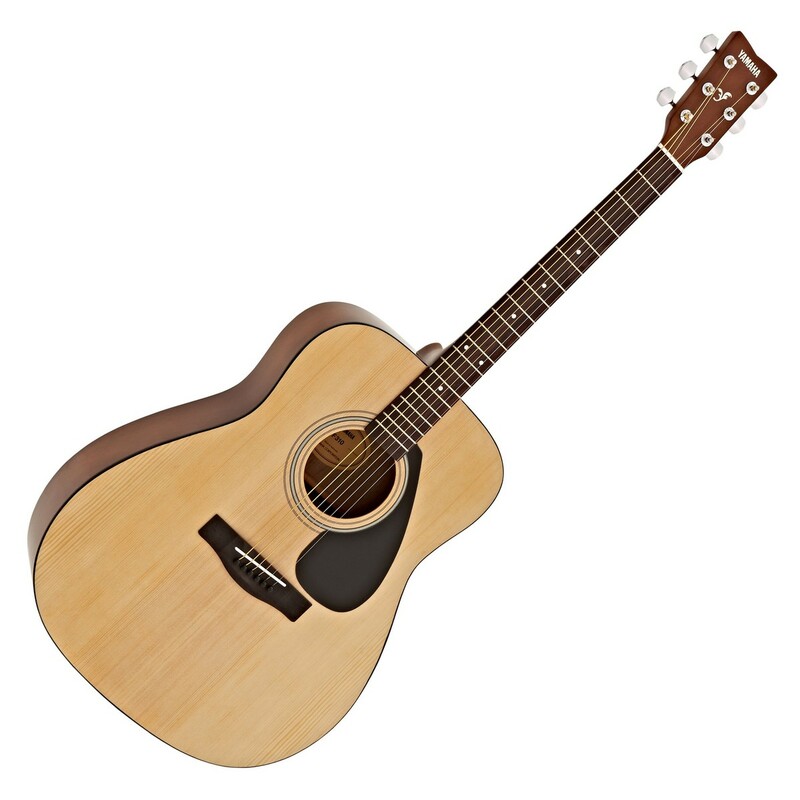 The F310 offers outstanding quality at a truly affordable price, ideal for beginners or players on a strict budget. 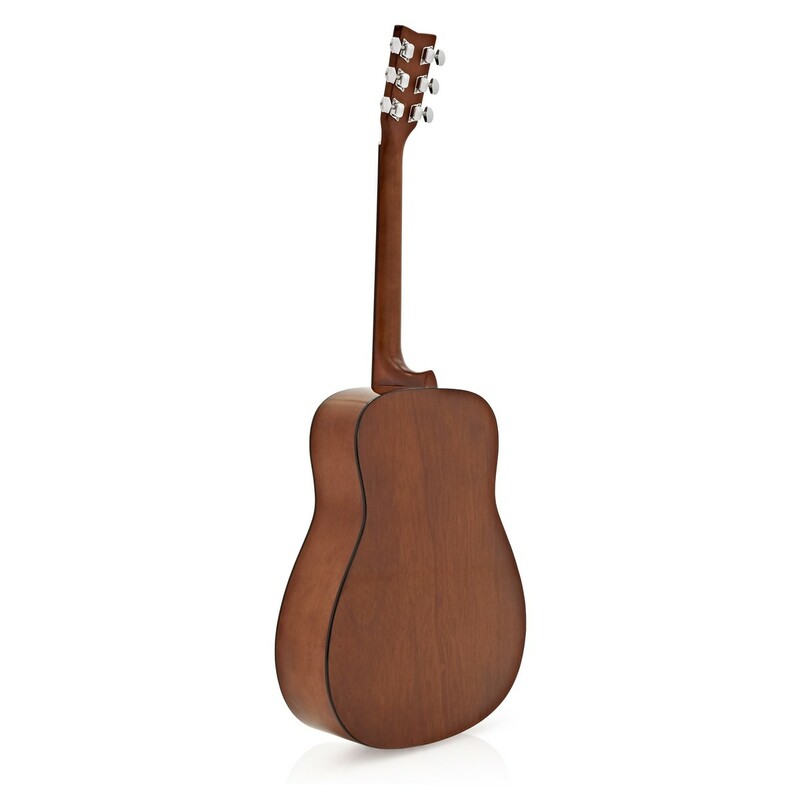 Using select tonewoods, the guitar features a spruce top, with meranti back and sides, producing a well balanced tone which is bright and responsive. 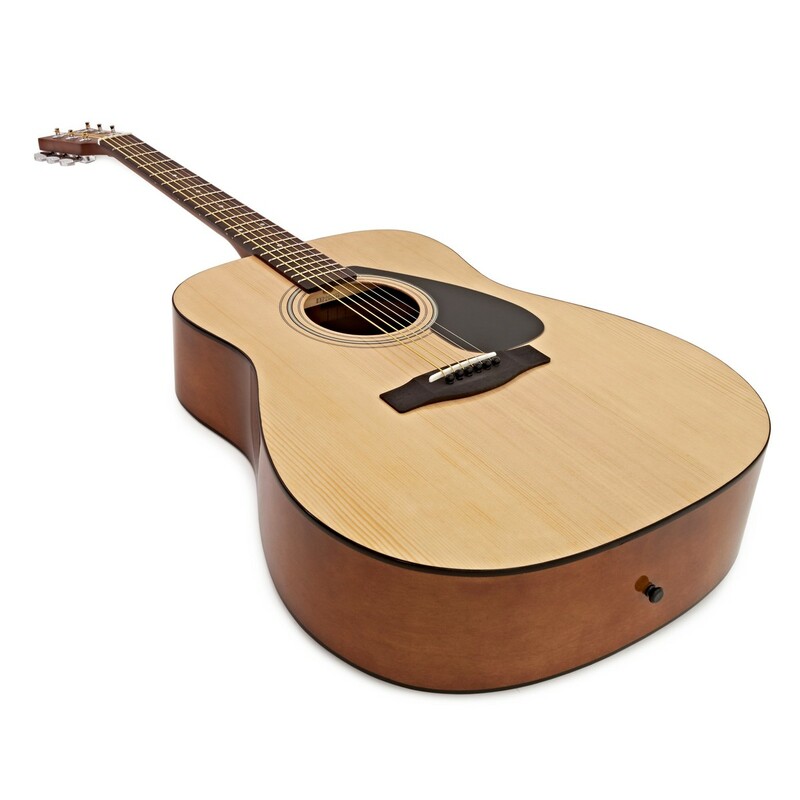 The classic dreadnought body shape offers versatility and comfort, and accommodates a variety of different playing styles. 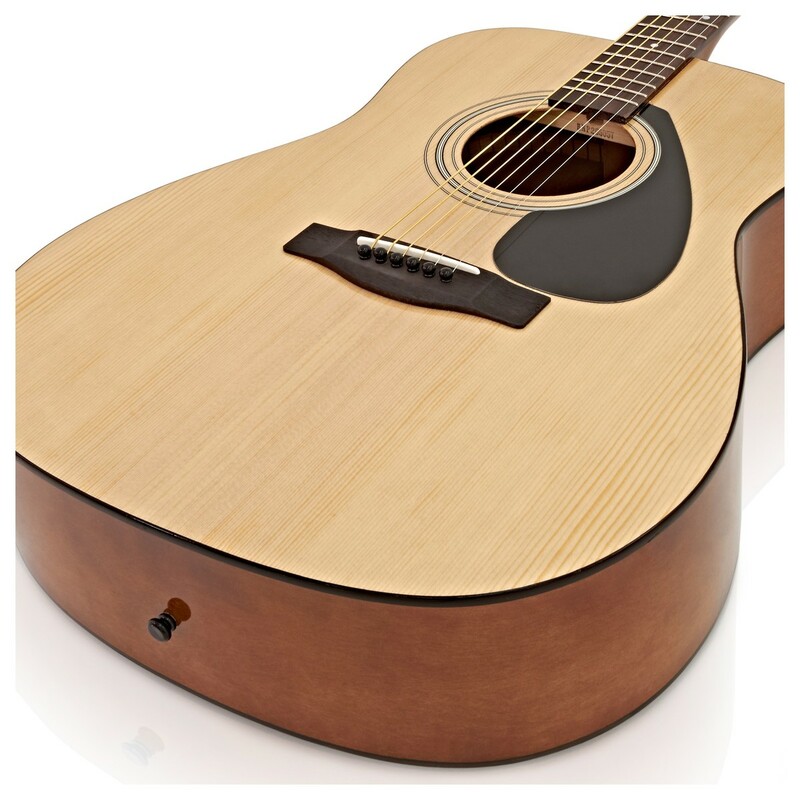 A rosewood fingerboard is also included, offering a warm tone with a natural feel, that all players will love. Finally, a 636 mm scale length on the F310 gives the guitar strings slightly less tension making it easier to play, especially for the first time buyer. 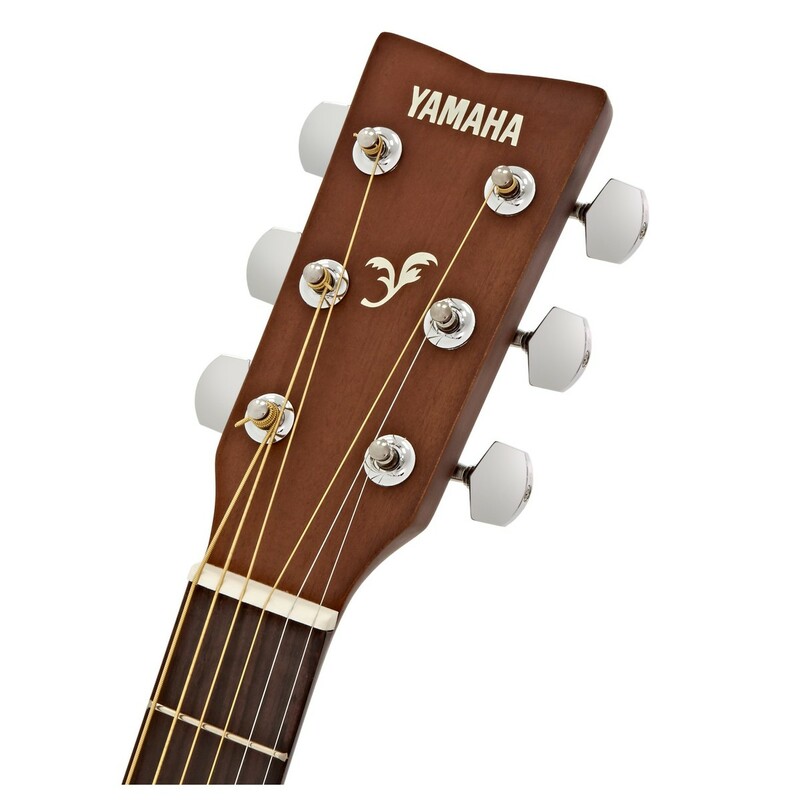 Quality tuning machines mean Yamaha have produced a guitar that stays in tune and enthuses the beginner. The F310 plays well straight from the box with absolutely everything you need to get started.